Meet your new favorite neutrals! Not only do these rich red and purple hues pair well with just about any other color in your fall wardrobe, but they’re loads of fun to pronounce. 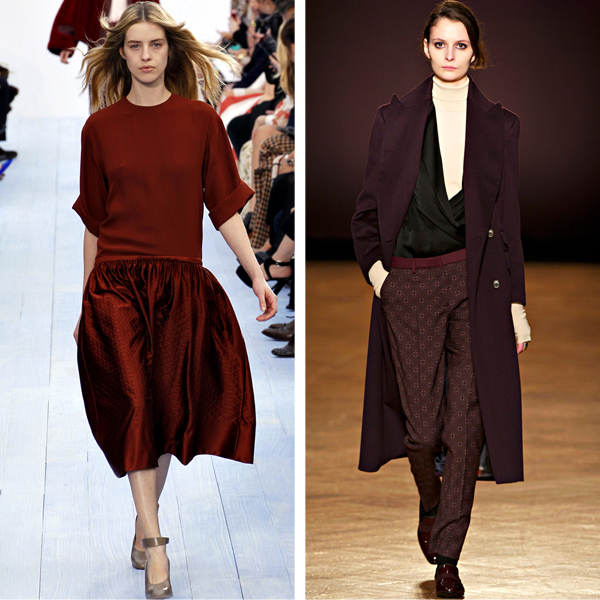 Yes, we could all just as easily refer to oxblood as ‘maroon,’ or aubergine as ‘eggplant,’ but I for one consider it a fine fortune that the fashion world has deemed 2012 the year of the proper British moniker. 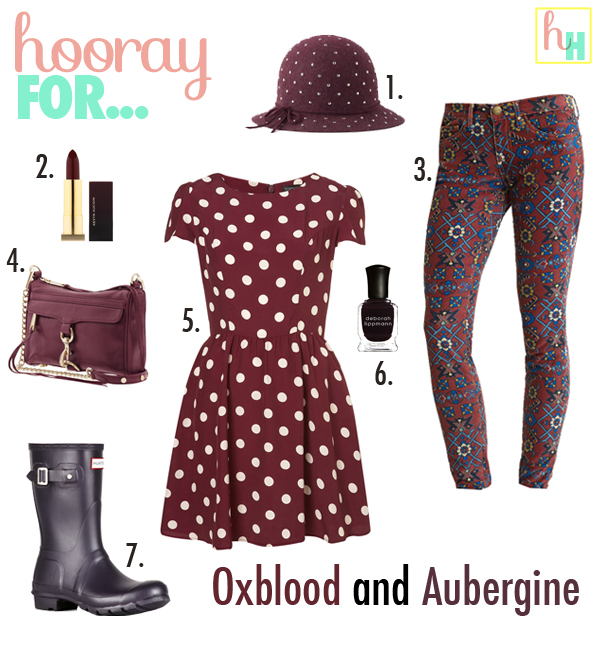 This entry was posted in Fashion + Design, Hooray For... and tagged aubergine, chloe, colors, fall, fall 2012, oxblood, paul smith. Bookmark the permalink.